An account defines your user details, such as login name, password, etc., and access permissions. For your own account, you can change any setting except the email address specified for your login name. Note: To edit settings for other portal users, see Managing portal users. 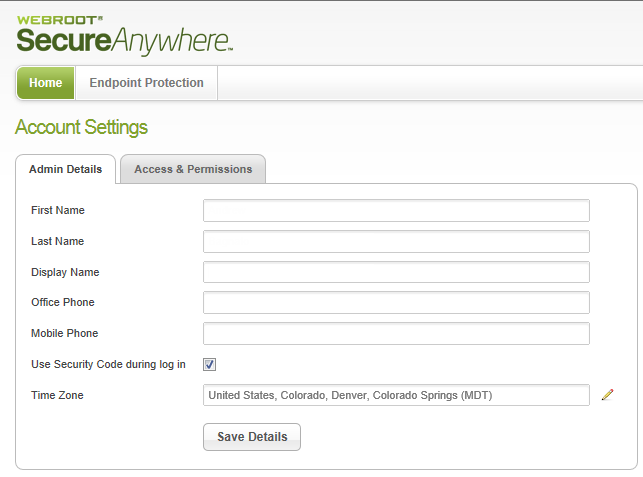 Open the Endpoint Protection menu by clicking the arrow next to your login ID, then click Account Settings. In the Account Settings panel, click one of the Change links to open another panel where you can edit the information. 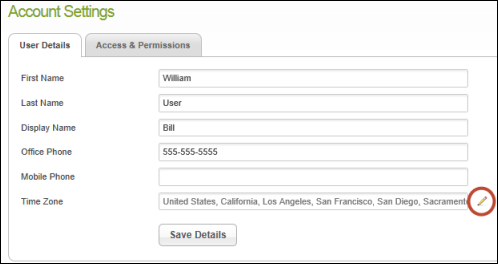 In the User Details panel, make changes to your name and phone numbers, as needed. 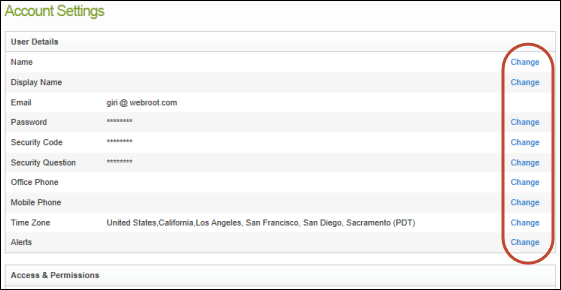 Note: The Display Name is the name that appears in the Management Portal. To change the time zone, click the pencil icon at the right, then type the country, region, or city to open a drop-down menu of choices. To check your access permissions, click the Access & Permissions tab. If you are the main Endpoint Protection administrator, we recommend that you keep the default settings as shown in the following example. 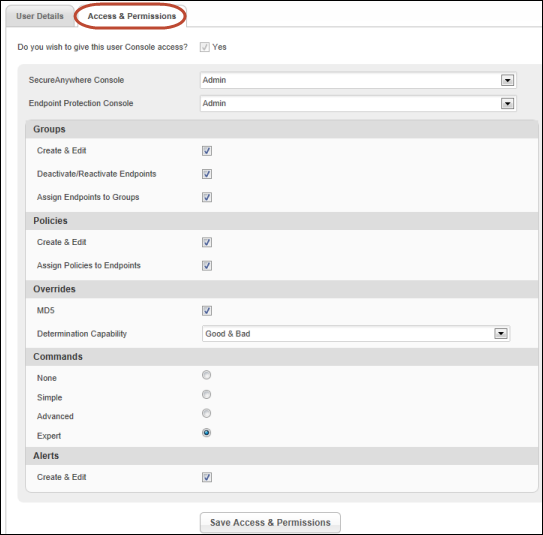 For more information about the settings, see Setting permissions for portal users. Click Save Access & Permissions when you're done.